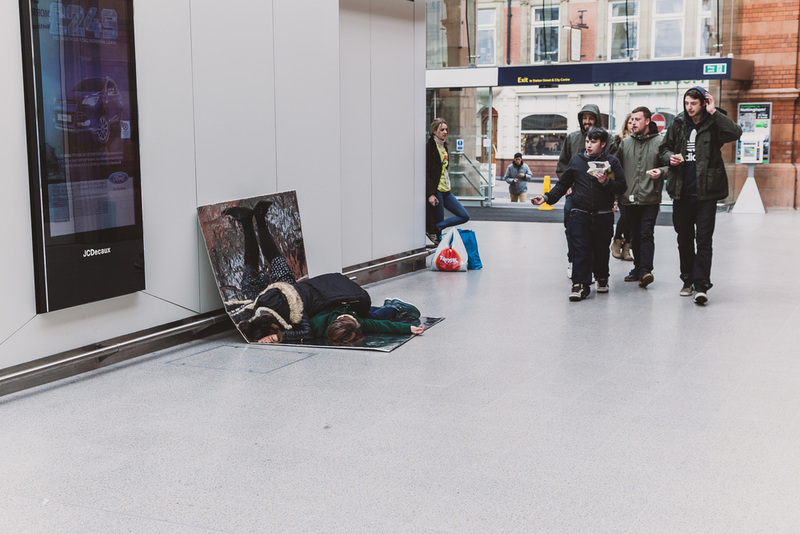 A public intervention, a simple action. 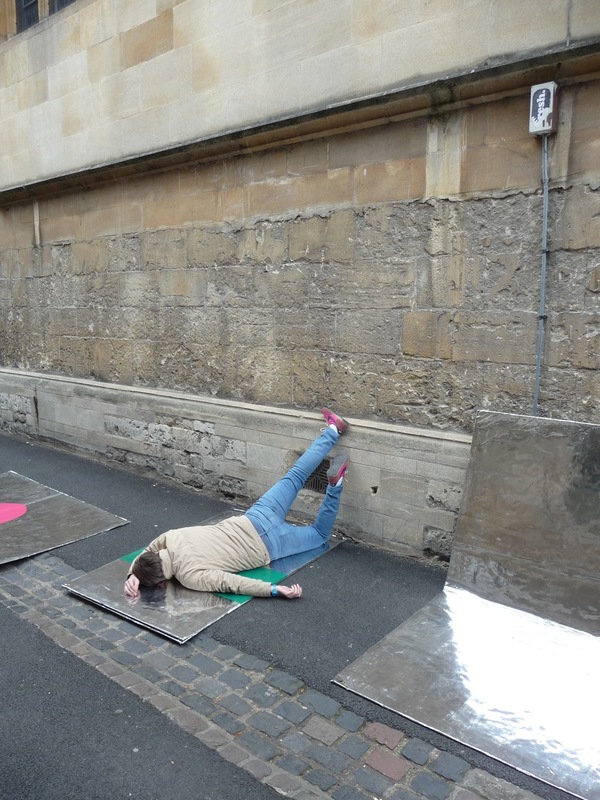 Performers use portable mirrored slats as resting places across Oxford City Centre to interrupt the vertical and the conventions of public space. 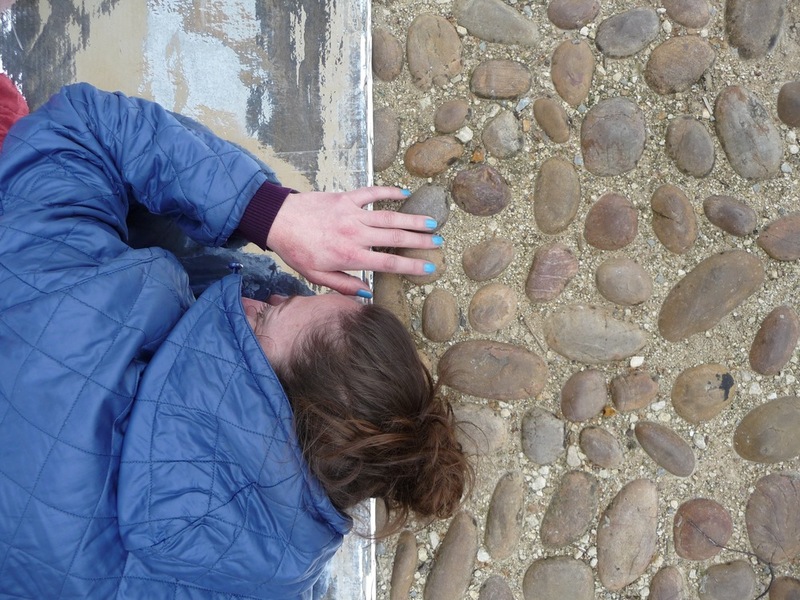 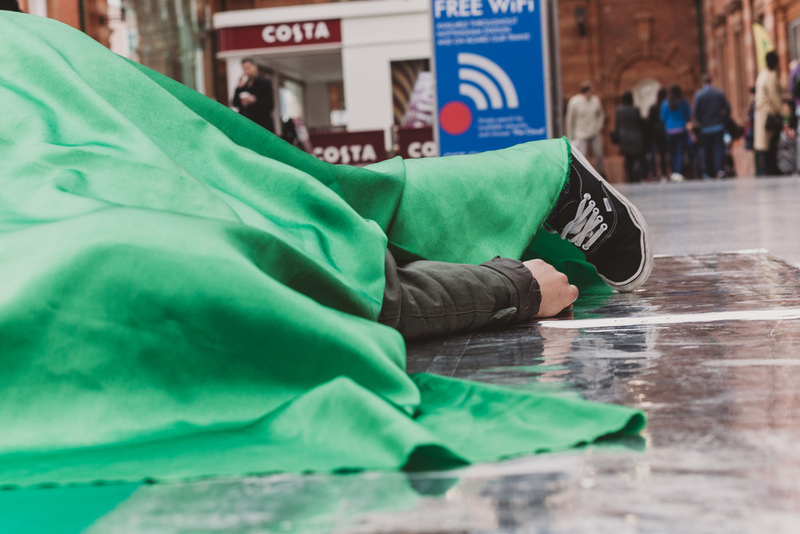 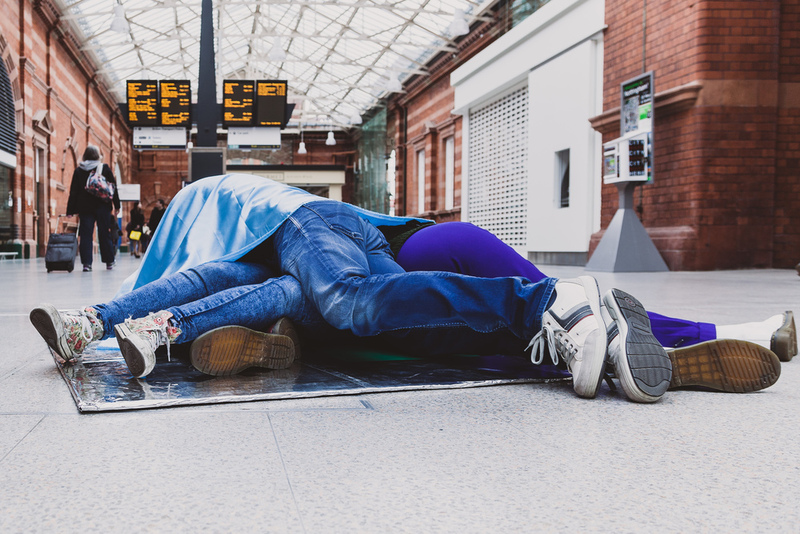 Laid Down brings bodies at rest to public spaces. 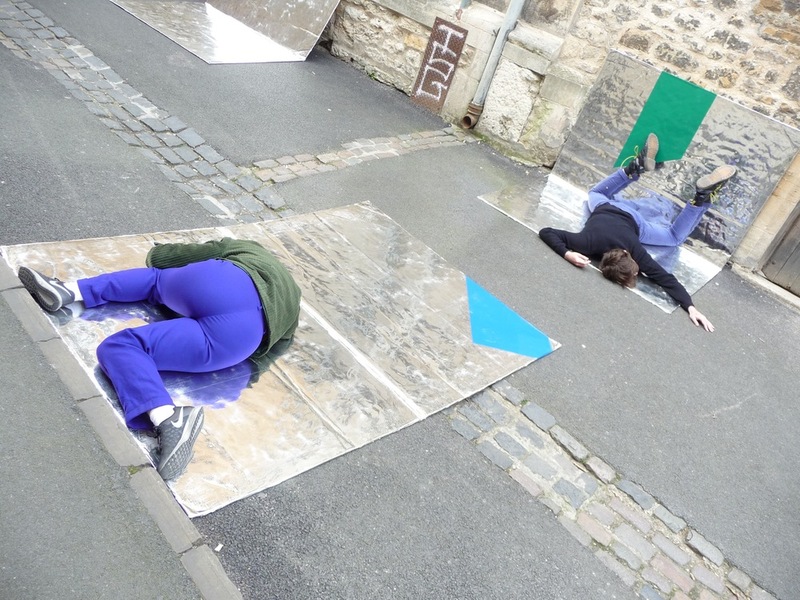 Through emphasising the horizontal, stillness intervenes, disorientating the hectic corporate culture that is so prevalent and all-consuming in public space. 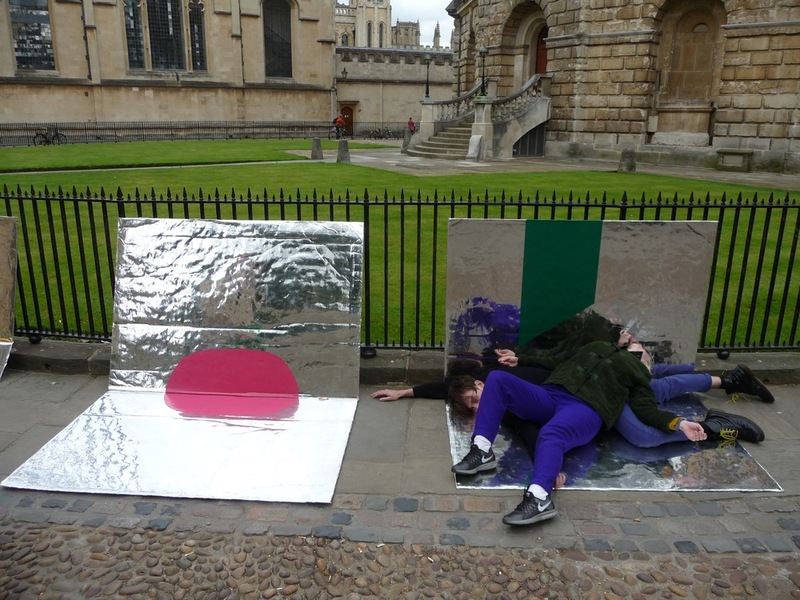 Commissioned by Modern Art Oxford as part of Test Run show 2015. 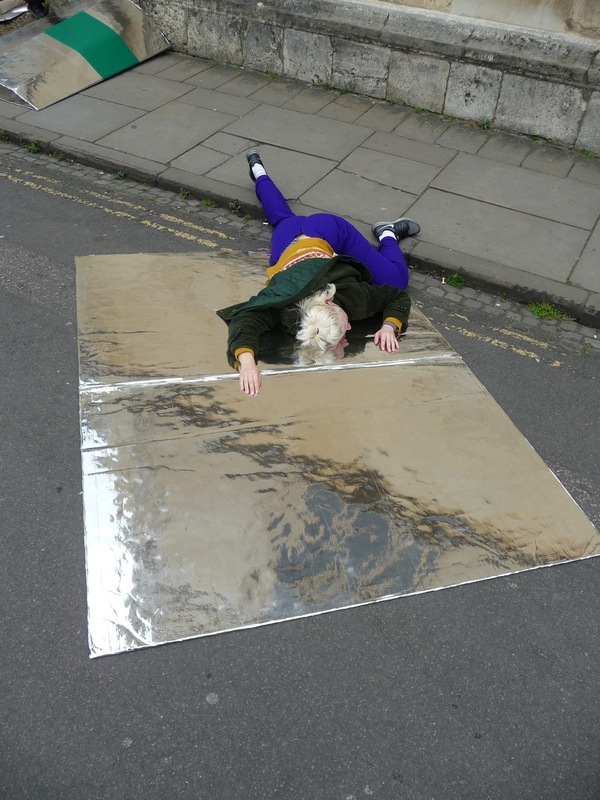 Performers: Marina Collard, Katye Coe, Luke Birch, Cecilia Macfarlane, Hamish Macpherson, Joe Moran, Rosalie Wahlfrid. 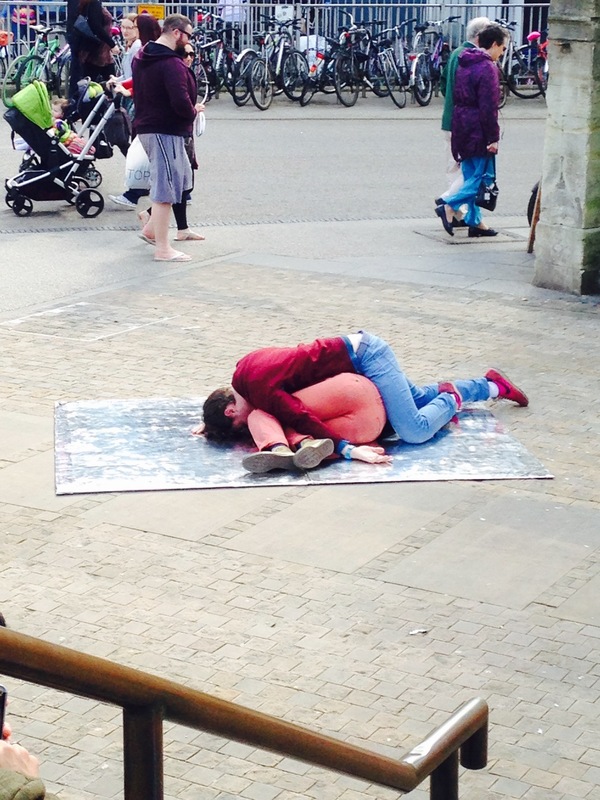 Performance in public spaces, Nottingham city centre.